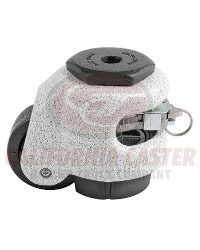 California Caster offers Footmaster integrated back, side, and ratcheting leveling features for equipment, machinery, and workstations. Low profile, high-load casters have excellent ergonomics and allow workers easy access to the leveling components. 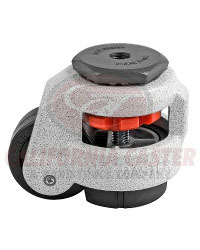 Low profile Footmaster integrating leveling casters are engineered for high loads. 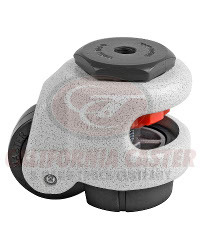 Each caster is available in different wheel sizes, leveling options, and heights. Many of our low profile Footmaster casters have 3D Models available for download in most formats, including IGES, STEP, PRO/E, and SolidWorks. Wheels are made from polyurethane and phenolic materials. Custom 3D models of back access leveling casters are available. Custom 3D models of ratchet leveling casters are available.